What does it take to be an exceptional board member? Without a steady backbone of leadership and guidance that comes from high-quality board members, foundations risk becoming less focused and far less effective. Sound judgment and passionate involvement are essential for board members seeking to invigorate an organization and maximize its impact. 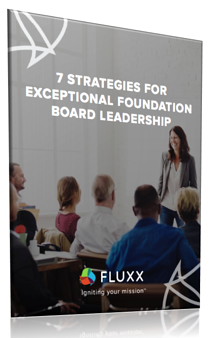 Ready to get started on your path to board member excellence? Fill out the form to get the guide now.